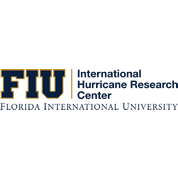 An on-going effort to spur awareness, involvement and action by millions of Floridians in a new culture of hurricane-safety. WPBF, ABC, West Palm Beach, March 31 at 5:30 p.m.
WCTV, CBS, Tallahassee, March 2 at 7:00 p.m.; March 9 at 7:30 p.m.
WCJB, ABC, Gainesville, Feb. 23 at 7:00 p.m.
WJXX, ABC, Jacksonville, Feb. 3 at 5:30 p.m.; Feb. 9 at 5:30 p.m.
WMBB, ABC, Panama City, Feb. 2 at 5:00 p.m. WEAR, ABC, Pensacola, Jan. 20 at 4:30 p.m.
WTVJ, NBC, Miami/Fort Lauderdale, Jan. 6 at 12:30 p.m.
WBBH, NBC, Fort Myers, Dec. 30 at 2:00 p.m.
WESH2, NBC, Orlando, Dec. 30 at 4:00 p.m.
WKCF, CW, Orlando, Dec. 30 at 4:30 p.m.
What’s the real cost of not being insured before a hurricane? How do you know what type of windows are in your home? FACT: You can throw this myth right out that window you were planning to tape up. Even the most durable ducttape gets worn out and loses its effectiveness when saturated by water, so imagine what condition it would be in with sheets of rain and punishing winds of more than 50 mph. Despite the stunning devastation wrought by Hurricane Irma just one year ago, and 1 in 5 Floridians still say they would not evacuate even when a Category 4 storm is forecast to come within 10 miles of their home – and more than half of Floridians who live in evacuation zones have disregarded recommendations to leave ahead of a powerful storm. Those are two of the alarming findings released from a new survey commissioned by the National Hurricane Survival Initiative. 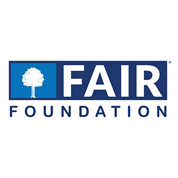 The FAIR Foundation and Get Ready, Florida! urge residents to get serious about hurricane preparation after survey results find 1 in 5 Floridians say they would not evacuate even when a Category 4 storm is forecast to come within 10 miles of their home – and more than half of Floridians who live in evacuation zones have disregarded recommendations to leave ahead of a powerful storm. Get Ready, Florida! kicks off a statewide initiative with results from its survey that reveals Floridians were caught off guard in at least one way leading up to Hurricane Irma.